China recently announced their GDP growth for Q2 to be 1.8%. Year-on-Year, as of June 2018, China’s GDP growth is at 6.7%, slightly above their annual targeted growth of 6.5%. But how does this growth rate compare to the rest of the world? In 2017, China ranked 15th in global GDP growth, behind fellow fast-growing Asian countries such as Vietnam (7.7%), India (7.5%), and Malaysia (7.2%). The United States, currently the largest global economy, sits at rank 71, with 3.8%. But to truly understand what all these statistics mean, there needs to be some context. Although China is currently one of the fastest growing economies and as well as the 2nd largest economy, just three decades ago, the economic setting was completely different, one where China wasn’t even on the map yet. From 1980-1990, China was nearly nonexistent in terms of global nominal GDP growth and barely ranked among the top 20 countries, behind Canada, India, and even Taiwan. 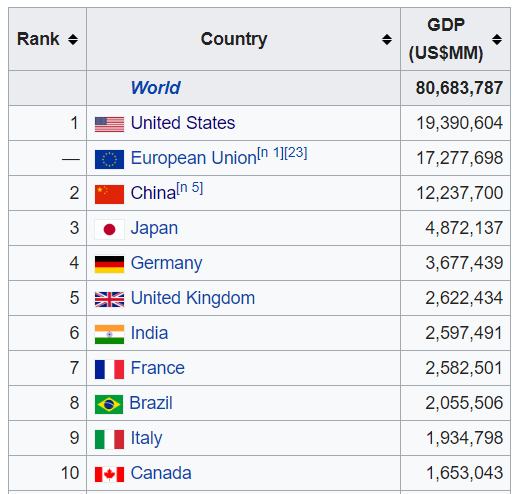 Not surprisingly, The United States dominated the 20th century, and easily ranked number one, contributing as much to global GDP growth as Japan, West Germany, Italy, France, and the UK combined (the next 5). However, from 1990-2000, China started making some long strides, although not nearly as much as the US, who truly dominated the 20th century and almost contributed nearly half of global GDP growth. From 1990-2000, America contributed 41.6% to global GDP growth, more than the entire European Union! That is just absurd. 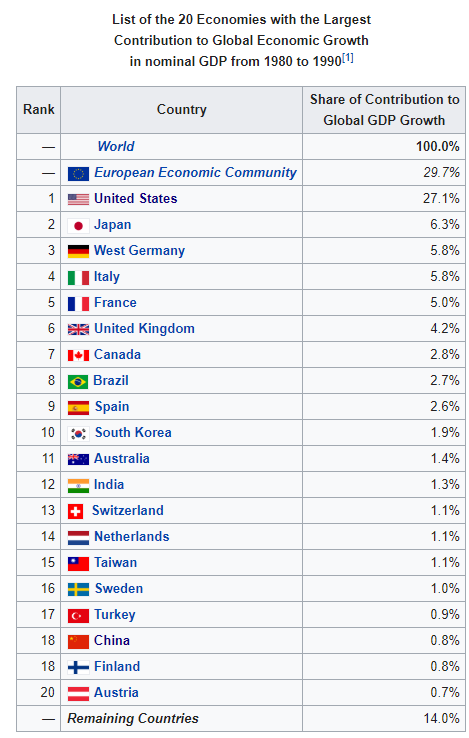 Japan came at 2nd (15.7%) and China jumped from the 18th spot in 1980-1990, contributing less than 1% of global GDP growth, to the 3rd spot in 1990-2000, contributing 7.6%. In 1980, China’s GDP was only 7% of the US’s. From 1980-2015, something incredible happened to China, as they silently climbed the ranks. Each year, their power grew exponentially. In 2001, China made a crucial move by joining the World Trade Organization (WTO) to open the doors to the global economy through trade. By 2015, China’s GDP as a percentage of the US increased almost tenfold, hitting 61%. In that same time, since joining the WTO table, China managed to become the king of manufacturing and exporting. For my generation, and several future generations, the world has always been a “Made-in-China” world. And then, 2000-2010, at the turn of the century, China has overtaken America in economic growth. China is growing fast. Much like how the US dominated the 20th century, many people believe that the 21st century belongs to China. Despite their fast growth, China’s economy is actually slowing down. In the 2000’s, it was not uncommon for China’s economy to grow by over 10% annually. Still, at this rate of growth, China is set to easily surpass America for the top spot in all economic indicators by 2030, and possibly well before then. By some economic metrics, China is already ahead Let’s take a look at how China’s climb compared to that of America’s between 1980-2015. This time, we look at GDP Purchasing Power (PPP), which accounts for the power of a country’s currency. 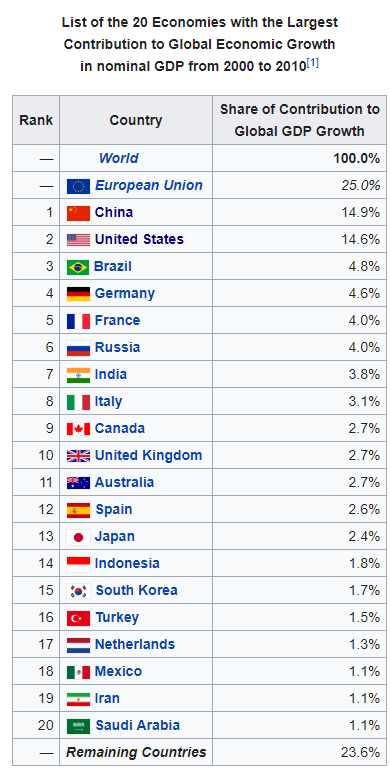 As you can see below, just a few years ago in 2014, China managed to surpass America in terms of GDP (PPP). So, China’s statistics look pretty good, but how good are they really? It’s no secret that China has a lot of wealthy people as well as poor people. If you go to Shanghai, Beijing, or Shenzhen, you will see the fast-growing technology and financial hubs in China. However, nearly half of the country, 45%, is still rural, with varying standards of living. China is just as much a modern society as it is an agrarian society. 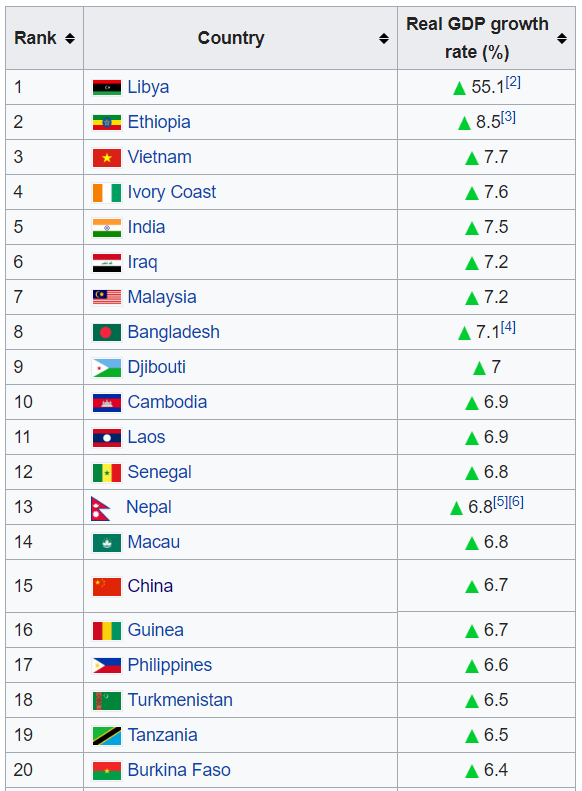 If we compare China’s GDP per capita (population) vs. America’s, we see that China is a large economy not because it is necessarily a rich country, but because it has a large population of workers, all creating goods & services, much like India. America’s GDP/capita is U$59,501, which ranks number 7 in the world (shockingly good, ahead of Singapore #8), while China ranks all the way at 71 globally, with US$8,643. This means that although China’s pie is getting bigger, the slices are still rather small. So, as much as China has done to improve the economy, there is still a lot of room for growth, which is scary to imagine how much more potential this Asian powerhouse still has. China has to support the rural areas in transitioning to more modern practices and improve living conditions, much like what they did for Shenzhen (China’s Silicone Valley). From 1964-2015, Shenzhen went through a complete transformation to becoming one of the top 4 major cities in China, proving that the possibility is there for every city. China is a determined country. When the Chinese set themselves to obtain a goal, like to hit 6.5% annual GDP growth, they find a way to reach it… even if it means by “other” means. (but this discussion will be for a later post). Right now, all eyes are on China and the US. With such a strong rising power in China—and with America and the Trump administration wanting to retain their control as number #1 with their America First policy—the global trade-tensions currently ravaging the news portals almost seemed predictable. Hopefully, I was able to teach you a little something about China’s economic setting for those who read this post, and maybe you’ll understand a little more about why China will dominate the 21st century.